As people of the 21st century, we are reliant on our phones in everyday life. This especially is the case for small business owners. Without an effective phone system, your business will collapse. Traditional, hard-line phone systems are often unreliable and expensive. This causes small businesses to search for alternatives. This is where a Voice Over Internet Protocol service (VOIP) comes into play. VOIP services send your voice over the internet as data. It’s a single, easy-to-use manage service that’s becoming the go-to choice for small businesses. By adding voice to a data network, businesses save a great amount of time and money. Many small businesses are familiar with it, but are unsure of what it can do for them. Learn why your business should make the switch sooner rather than later. By combining all your communications, you are saving your business money. Now you only have 1 network to manage instead of 2! You’ll spend less money on travel by using online and video conferencing. Also, VOIP lets you have many features without paying extra fees. For example, unlimited long distance and caller ID. Additionally, it allows you greater efficiency and productivity. This doesn’t just cut your costs, but increases your bottom line as well. VOIP allows your employees to have more ways to stay connected. There’s “presence” technology that lets you see if your employees are available and how to get in touch with them. VOIP doesn’t just improve the employee experience, but the customer experience too. It gives you a reliable phone service that lets you be more available to them. Route calls and direct after-hours calls to your phone with no effort. 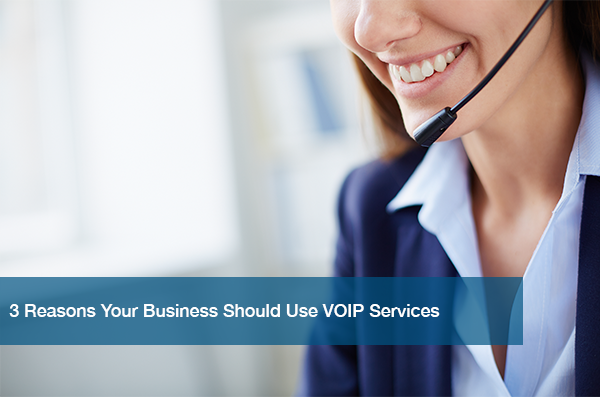 With smarter functionality and simpler features, VOIP is perfect for a small business. For one, it gives employees many ways to communicate, making collaboration effortless. Also, it makes it easier for your employees to maintain access to your network no matter where they are. All they need is internet connection! Additionally, you can add, move, or change phone extensions and locations with ease. There are many more benefits VOIP services can offer your business on the ITC website. Find out more information and learn how ITC can help with your phone needs today. Schedule a free IT needs assessment so we can show you how VOIP will fit in with your business.